My students become increasingly engrossed in their research and creating for PYP Exhibition. Thus, my role has become almost exclusively facilitator, coach, and documentarian. This is ideal in a project based learning environment. In the past two weeks, I’ve devoted particular attention to developing the rubrics for the Exhibition. We will be using four rubrics in total: The PYP Exhibition self assessment rubric, pictured below, for the entire project, and separate rubrics for the essay, speech, and arts components. In the project rubric, the top three elements are assessed in separate rubrics. The scores are converted and added to this one. The bottom five elements are the the essential elements of the IB Primary Years Program. The purpose of the Exhibition is to demonstrate understanding and engagement with these. This rubric serves as a summative assessment of students’ PYP learning. The qualitative criteria have been revised from my previous rubrics with terminology inspired by the Dreyfus model of skill acquisition. I’ve also included hybrid ‘one point’ elements which I believe will be particularly effective for self assessment. The students will assign themselves point values for some criteria along with their reflections and rationale. These rubrics have been shared with students throughout the process of creating them and their input has been included. Since they are all in Google Docs, my feedback after they have been completed by each student will be in the form of comments added to their self assessments. Our school’s International Children’s Day celebration occurred in the third week of our project. On this day, each classroom creates a unique environment and visitors from our local community are invited to play games and participate in fun learning challenges. I thought it would be an ideal opportunity for my students to focus on their global issues for Exhibition by creating a Global Issues Expo. 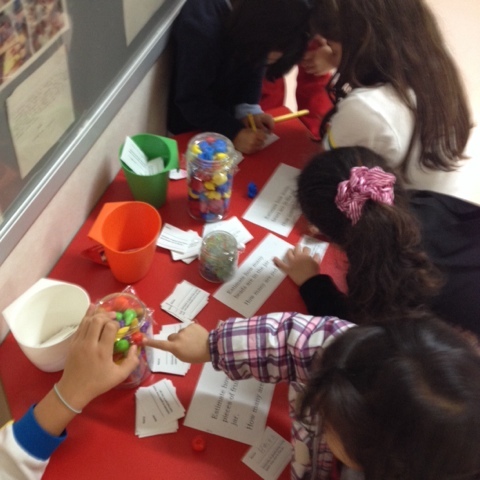 In fact, our expo looked like a typical PYP Exhibition. However, I want the students to have maximum agency in how they present their Exhibition, not necessarily as a collection of display boards about global issues. So our Global Issues Expo worked out perfectly. 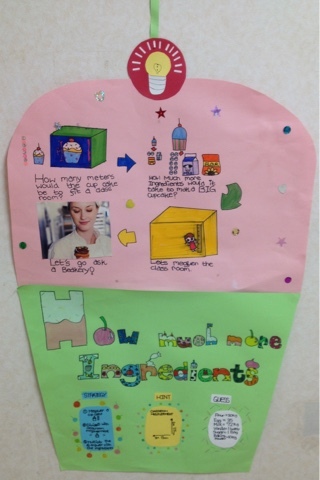 Students created displays that were arrayed around the classroom. Each display included a survey question which could be answered by placing a sticker. 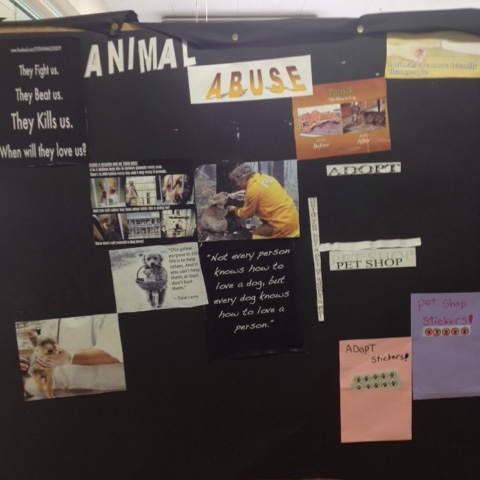 This Animal Abuse display asked if guests would prefer to purchase a pet at a store or adopt from a shelter. 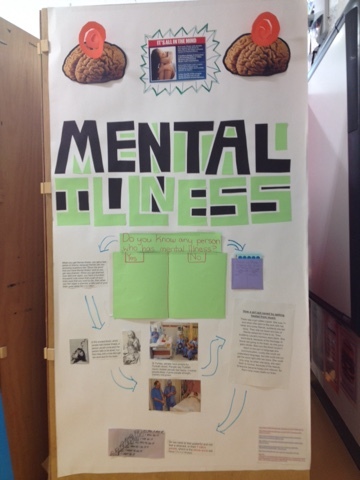 This Mental Illness display asked the poignant question, ‘Do you know any person who has a mental illness?’ We were impressed by respondents’ honesty! About 40% answered ‘yes’. This event has led to increased energy around the students’ global issues and started authentic research in the form of surveys. I have been encouraging them to create google forms to continue their surveys online, but haven’t yet seen a completed one. We have also been recording reflection interviews. 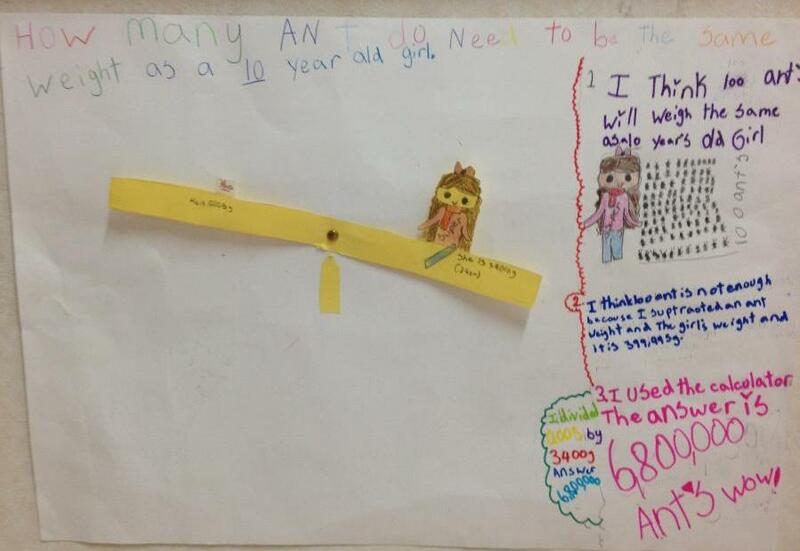 I knew it would be an effective formative assessment technique, but I had no idea it would be such a powerful way to help guide the students’ projects without intruding on their processes. It only takes a few minutes for each student to record their interview and then they can be instantly sorted into playlists. At this point in the process, we have formally explored each element. The students have submitted their first drafts of essays and speeches and we have conferenced about them. Some have begun art projects. We have created global issues displays, conducted surveys, and conducted interviews about possible local community action. Now that the stage is set, it’s time for the students to truly take control. I believe that I learned more in 2014 than in any year of my life since Kindergarten. A close second would have to have been 2001, during which I lived in New York City, studied composition with the great Ludmila Ulehla, and experienced the terror of ‘9/11’, or 1996, when I graduated from high school and spent my first semester of college studying abroad in Nepal. The past year was the Chinese Zodiac Year of the Horse, and I, being born in the Year of the Horse, sought to make it a year of work. I set my professional goal for the second half of the 2013-2014 school year to learn and practice as much as possible about Project Based Learning, self directed learning, and self determined learning in order to best facilitate my sixth grade class’ culminating Exhibition. To that end, I participated in the Deeper Learning MOOC and Macromedia University Design Thinking MOOC. With that learning as inspiration, I have been inquiring into and blogging about PBL, project management, and design thinking in education using the label ‘LX Design‘. Unfortunately, tragedy struck in September of 2014 when my father died. It happened unexpectedly just two weeks after my family and I returned home to Japan from a trip to my hometown in California to introduce our two year old son to his grandfather and other family and friends. It was a devastating way to start a school year, and a bitter way to end what was otherwise a sweet summer. Visiting California after being away for four years provided many lessons in perspective through reflecting on familiar sights and experiences from a new point of view. It was also a chance to practice using the Visual Supply Co photo editing and sharing tools. I began sharing my attempts at artistic photography there on my VSCO Grid as well as following the feeds professional and highly skilled photographers. Of course, people have shared bazillions of vacation photographs via social media, but my goal was to find opportunities to create and share meaningful art through my experiences. Finding moments to express myself as a travel, food, landscape, and artistic photographer, however amateur, was fun and enriched my travels by allowing me to enjoy and reflect more deeply. During the trip, I entertained on the idea of Connected Living as an application or generalization of Connected Learning. One of my desires as a teacher and learner is to obscure the artificial boundaries that exist between formal and informal learning, ‘school’ and ‘real life’. Such distinctions between digital connection and analog, ‘face to face’ connections should also be blurred. Sometimes, I am discovering, not shooting a picture to share on Instagram is infinitely more profound than doing so. This New Year marks the tenth year in a row that I have resolved to finish a piece of music. At the conclusion of 2013, it was my string quartet. I have the first several measures of dozens of pieces, but they are all merely sketches in a notebook. It’s not surprising. In the past ten years I have started a family and a career. However, this year it is an especially solemn resolution to make in the shadow of my father’s death. One of my planned projects for years has been to publish arrangements of ‘Songs My Father Sang’, of which my jazz big band arrangement of Streets of Laredo is technically the first and regrettably the only. Indeed, wrestling myself away from my smartphone might be just the signal my muse needs to come around to visit me again. I certainly have support from my connected learning friends and especially Brent Bedford, creator of the International Society for Fugues, who has been doing his best to inspire and motivate me to get out behind the woodshed! I hope he knows how much his efforts are appreciated. 2014 was a year of work. 2015 should be a year of fun. That’s my resolution. A keen observer will notice that I haven’t exactly followed the assignment here. Rather than revising a unit of instruction to attempt to redefine learning, my goal is to utilize educational technology to empower students to redefine their own learning. In a sense, I am reimagining every unit I teach. I started by trying to revise a single unit, but every change I made toward increasing student choice, voice, and agency, resulted in thinking less about deciding what I wanted students to do, and more about how I was going to document and curate what they would decide to do. A class wiki was needed first to act as a home base. In theory, it contains and organizes links to every online resource and tool we use in class. The link is jiesgradefiveandsix2014-15.wikispaces.com, and it’s the only link you will find in this post because it leads to a page containing links to everything my class does online, including our Inquiry Tasks Organizer. 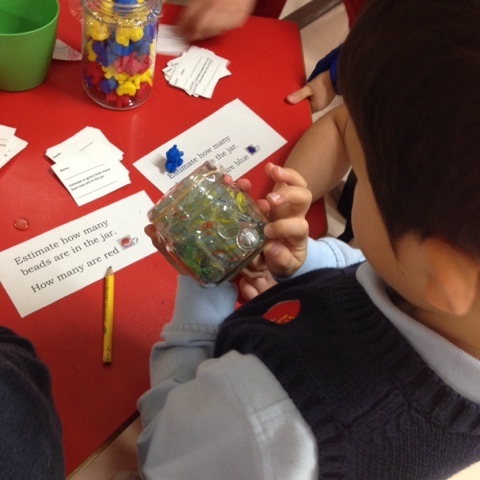 The Inquiry Tasks Organizer is the hub of our inquiries and assessments. The public ‘class’ organizer feeds private organizers for each students, to which they add links to their learning artifacts and self assessment rubrics. Over the course of the school year, this document will be used to empower students to take more control of the direction of their learning by providing a flexible and agile model for documentation and reflection. Currently, our inquiries and tasks are quite structured, but as the students become more fluent inquirers, more freedom will be transferred to them without changing any essential procedures. This ‘Project Management’ aspect of my COETAIL final project, creating an interface that can maximize agency and transparency in the classroom, is an inquiry I look forward to pursuing further along a design process in which all participants’ experiences are documented and utilized to inform ongoing iterations. This ‘Design Thinking’ approach to classroom planning ensures that a unit is never ‘finished’, and that refinement and revision are designed in rather than being added or changed later. The student experience thus far has been mixed. Some students enjoy the freedom that this approach affords, yet might be too easily distracted from relevant inquiries. Some are reluctant to let go of the traditional models of instruction, either our of confusion or lack of experience as independent learners. Consequently, the full potential of this project has yet to be realized. That’s great, because it is evidence to me that the project is working. Surely if students could easily adapt and thrive, it would imply that the learning environment hadn’t changed much and certainly wasn’t redefined. Learning won’t be redefined in one unit, but in the ongoing cycle of innovation and reflection that connected learning communities like COETAIL encourage and promote. The New York Times Magazine cover story, Is Giving the Secret to Getting Ahead?, explores the work of Adam Grant, whose ‘studies have been highlighted in bestselling books such as Quiet by Susan Cain, Drive and To Sell Is Human by Daniel Pink, Thrive by Arianna Huffington, and David and Goliath by Gladwell’. In that article, the case is convincingly made that altruism is not only beneficial to the beneficiary, but also to the benefactor. 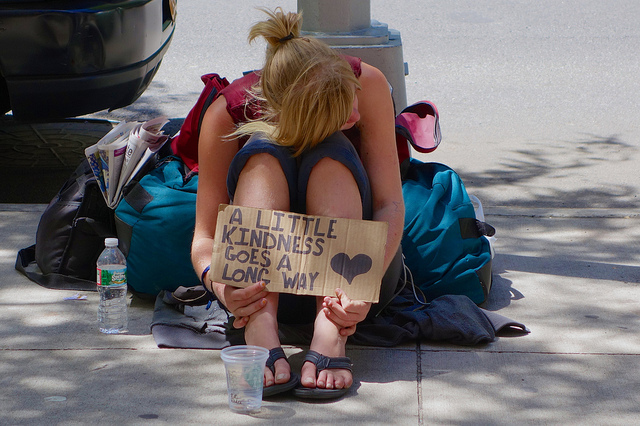 This apparent contradiction is supported by research findings not only in neuroscience, as in the article, Altruism, egoism: Brain exercises cognitive analysis, but also by commonly accepted wisdom contained in the world’s ancient and respected religious and spiritual disciplines as explored in Carolyn Gregoire‘s post, What Neuroscience Can Teach Us About Compassion. Mindfulness and empathy help to make connections in the brain which manifest as action. Caring for others makes us smarter. So why isn’t service learning an essential characteristic of every school? Why isn’t it designed into the curriculum and culture of schools? In the Harvard EdCast, Making Global Local, Jeff Shea (2015 Massachusetts Teacher of the Year) describes his innovate Global Leadership class and comments that we should ‘plant the seeds early’ for global education and service learning, so it only makes sense for elementary schools to introduce and practice service learning. There are endless possibilities for doing so, and even what appears to be a simple act of service can provide tremendous authentic context and purpose for learning. My first classroom teaching experience was in a service project based learning charter elementary school in Los Angeles, California, founded by Full-Circle Learning and six educators including myself. Our mission was to design learning experiences around ‘habits of heart’ and global collaboration. When someone asked my students what they are learning, they would say they are learning about ‘children who can’t go to school’, ’empathy’, ‘altruism’, or ‘how to be a humanitarian’. In a sense, we were more than a community of learning. We were a community of learning to serve. There are a number of strategies I would recommend that any elementary school could quickly adopt to cultivate a culture of service. Stop calling classes by their grade level, and assign them special names. I taught a Grade 4/5 combination class called ‘The Humanitarians’ and a Grade 2 class called ‘The Peacemakers’. The names for classes could be drawn from the school’s curriculum, mission statement, service learning goals, or learner profile. Every school has a conflict resolution policy which all stakeholders agree to follow. Usually, these policies are based on compromise or tolerance. However, the most effective conflict resolution is based on empathy. The conflict resolution process should contain an explicit ’empathy step’ which encourages each party to resolve the conflict in service to the other. In a service learning environment, the foundation of every unit is the driving question, ‘how can we help?’ Often, units are provoked by emotional appeals around global issues concerning human rights, environmental stewardship, injustice, or inequity. 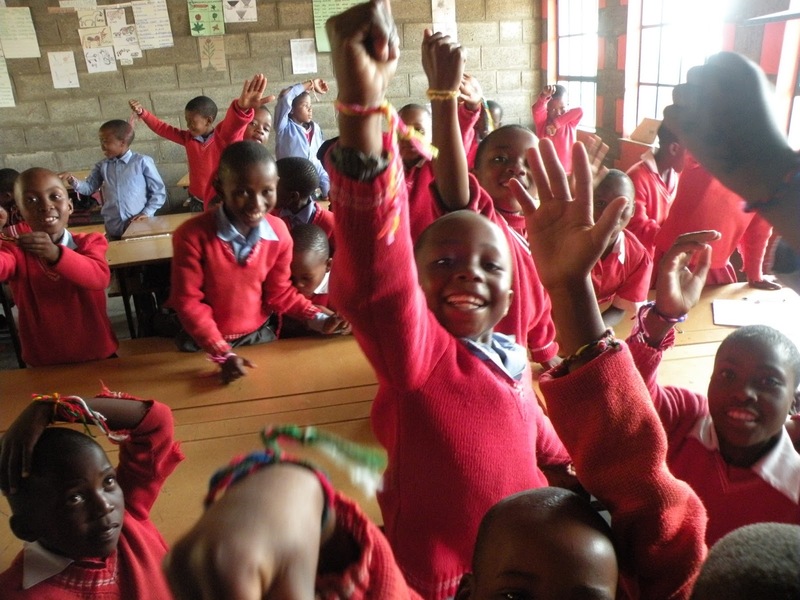 In the post, Inquiry should be action-oriented., I described a collaboration with our partner grade 2 class in Lesotho around the ‘habit of heart’ of appreciation. The provocation for the unit took the form of students sharing stories of their experiences of children mistreating or acting disrespectfully toward their parents or teachers. It was a very rich discussion about a situation that existed at both schools. The driving question of ‘how can we help’ led to an inquiry into the attitude of appreciation, writing personal letters to help our African partners to learn appreciation together, among other connected activities. Our project, planned cooperatively as a class, was to weave ‘appreciation bracelets’ for our learning partners to give to their parents to express appreciation. I also recommend reading Sam Sherratt’s post, Creating the conditions for action, and practicing the Putting Action on the Agenda guidelines from International School Ho Chi Minh City. The potential for technology to redefine service learning, whether by digital media creation or social media, is virtually unlimited. This Brazilian is Using Twitter to Take on Aggressive and Racist Housemaid Employers – Publicist in Sao Paolo retweets racist and demeaning tweets about housekeepers. We Need Diverse Books Campaign on Tumblr and #WeNeedDiverseBooks on Twitter – Thousands of participants (including me) contributed their thoughts about why we need more diverse representation of authors and characters in literature. Do now. – Continuing project to increase youth civic engagement with social media tools. Middleton 5th graders join cause to help classmate with MPS – Inspiring story of empathy and a class taking action for their friend. 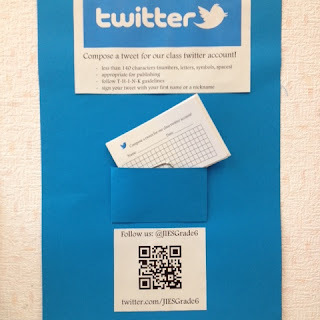 One approach to bringing social media into the classroom is to start a class twitter account. I’ve collected hundreds on this list, ‘classrooms atwitter‘. To get my students tweeting, I created little ‘tweet’ cards with 140 character grids. The students compose their tweets, then drop them off at my desk to be added to our feed. It’s a medium I look forward to utilizing much more aggressively as I integrate service and social advocacy more into our units of inquiry. Ultimately, service learning is about empowering students to understand that they can help to solve the world’s problems. By practicing inquiry which is rooted in empathy and oriented toward action, students learn to realize their potential as change agents in the world. In any case, my goal is to embed technology to maximize student agency. There are also Web 2.0 tools that need to be introduced and practiced throughout the school year so that students will be prepared to use them for their end of year Exhibition. Which one of these units is most suitable to be redesigned around a Web 2.0 tool in a way that redefines the learning of the unit? One way to address this question, or determine if it is even a good question, is to consider tasks. In order to assess whether students have mastered using a new tool, they must be able to use it to complete a task. In this unit, we introduce Wikis as a tool to organize and share information and links. It was used simply to aggregate research findings. Students also created speech and slide presentations to communicate their understandings of the connections between rights and responsibilities. One possible task might be to create a wiki to raise awareness for a human rights issue, embed a survey, petition, or pledge form, then use videos of their presentations to promote their causes and pages via social media like our class twitter account and blogs. Students this year completed a similar task, but only researched an issue to prepare a blog post. The greatest challenge would be for me to design learning experiences to support students as they become web designers and social activists, perhaps at the expense of some of the ‘formal’ learning activities we did in the past. Perhaps the solution lies in integrating those activities into the learning of the web tool? From a planning point of view, the wikis would be the focus. From a learning point of view, human rights would be the focus. In terms of student agency, feeling that they are using technology to take action for a cause that they care about should foster an authentic sense of purpose and ownership. Web 2.0 tools and social media would empower us to redefine our learning from research and presentation to taking action to raise awareness. The summative assessment for this unit was to use VoiceThread to create a personal history for a family or community member. The process was quite tedious, and the results of mixed quality. VoiceThread is a fantastic tool for creating a personal history, but it certainly didn’t raise the task to the level of ‘redefinition’. One of the challenges was in finding a community to share our stories. I believe that if I could find at least one other class also making personal histories about family members, it would significantly enhance the learning experience for students. We did collaborate with another class using VoiceThread to create personal introductions, however, that meant that our interactions focused on the technology, not on the learning. Facilitating global collaboration among students with technology must focus on the learning, not only the technology. Having some high-quality artifacts from this year, I can provide a model to other teachers so that students would be working in the same genre. By creating a tool with which we could all share links, the possibilities for interaction and conversation among students would be significantly enhanced. It could be a case in which ‘modification’ on a large enough scale becomes ‘redefinition’. I think that the key for integrating technology for me is to not think of it as ‘integration’, but rather as ‘utilization’. Finding a way to fit technology into an existing unit is inadequate. If my goal is to maximize student agency, then technology should be integrated as a tool to empower students to have more control over the direction of their learning. This is a rich transformational process that I look forward to continuing over the summer. 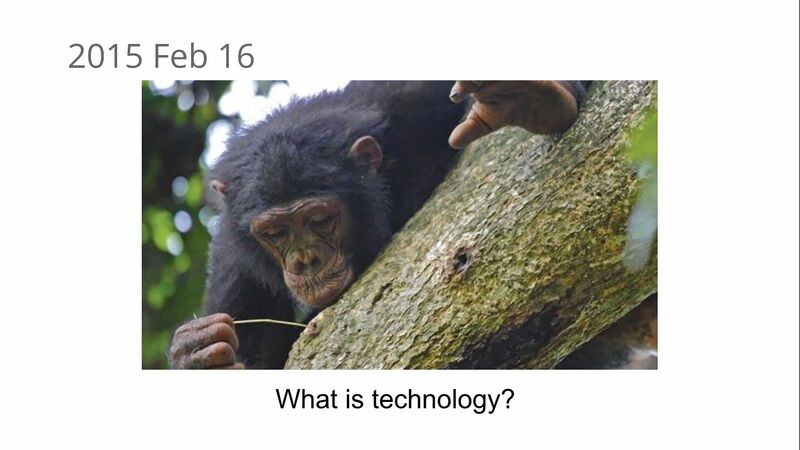 Are there technological tools that I seem to be unaware of? Are teachers already connected and collaborating on projects like these? If so, where would I find them?